Howdy all! Happy Thursday! 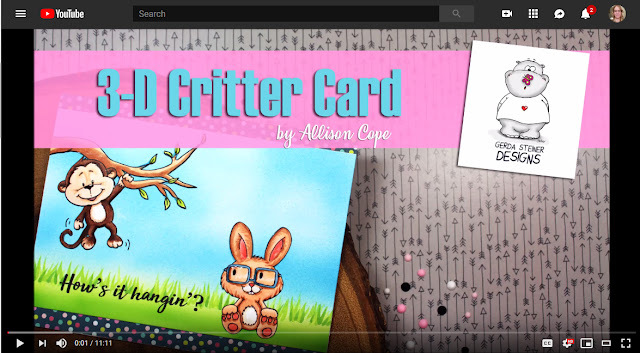 It’s Allison Cope here today to share a very simple tutorial on how to make your little critters (or any other images) POP! The key ingredient to this technique today is Olba glue. It’s a thick, clear glue with lots of body. It allows you create a 3-D backer for your fussy cut images to pop up. 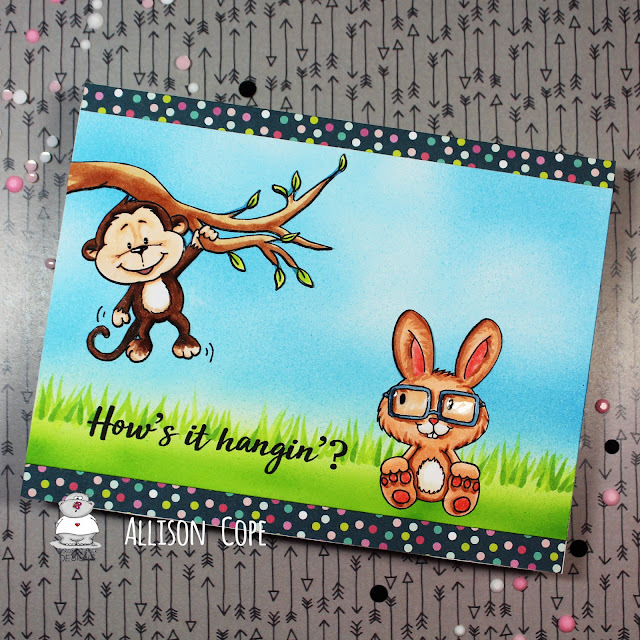 Today my card features the adorable “Monkey Hanging in There” and the “Bunny with Glasses” digital stamp sets. So come and join me at my desk and we’ll go get creative with digital stamps and Copic Markers! Thanks for joining me today! 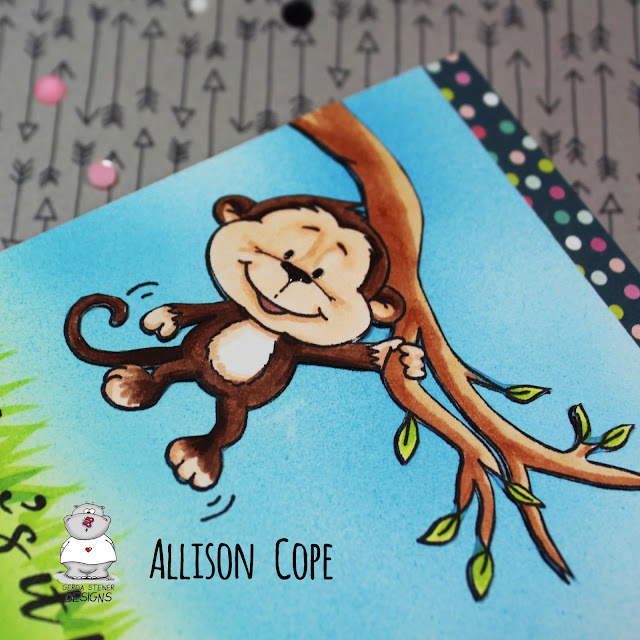 I hope you too get to try adding some more dimension to your card creations sometime soon. Hi, crafty friends! Its Rebekah with you today! I love creating a scene! Sometimes they can get quite complicated and then there are some which are super easy! 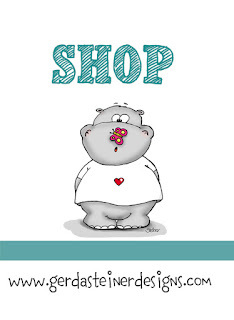 I am going to share a simple scene card with you today using the stamp set Hoppiness Stamp Set from Gerda Steiner! This scene came to gather so quickly! 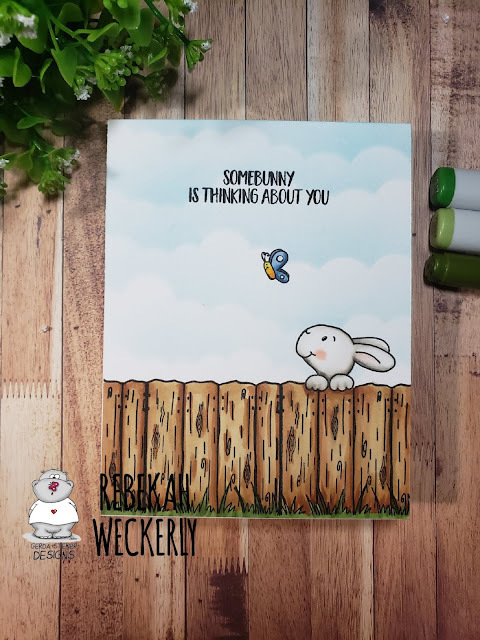 First, I stamped the little bunny and butterfly. I also made masks for them and placed the masks over the images. I then stamped the fence. The fence stamp, itself will not go all the way along the card front. 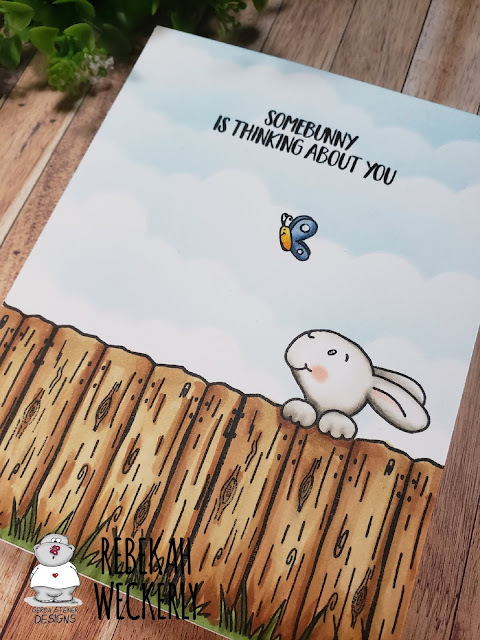 I stamped the fence in the middle of the card once and then, looking through the acrylic block which the stamp was on, I could see how to like up the next row of fencing! I continued this until it was across the card! I used a cloud stencil to color a few puffy clouds with Distress inks and then took the masks off the bunny and butterfly. I the clored in my images with Copic markers! 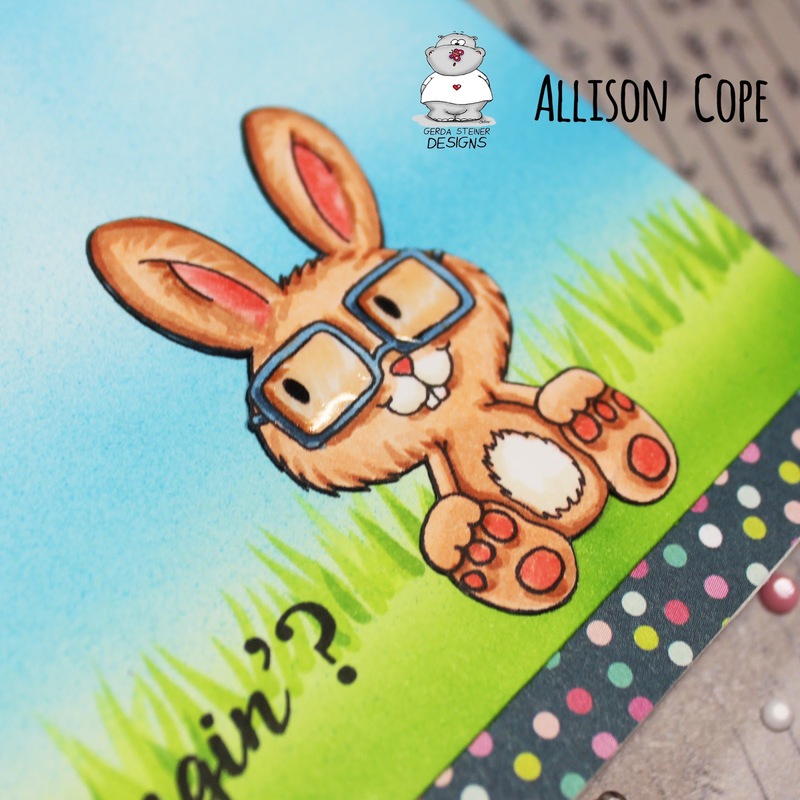 I drew in a few tufts of grass along the bottom.of the fence which added a little more color to the card and also disguised that face that I did not stamp perfectly straight! Easy scene and so much fun! Thanks for visiting the blog today! Be sure to share with us what you are working on this weekend!